TDC dancers in the Opening Day section of The White City. Photo by Cheryl Mann. 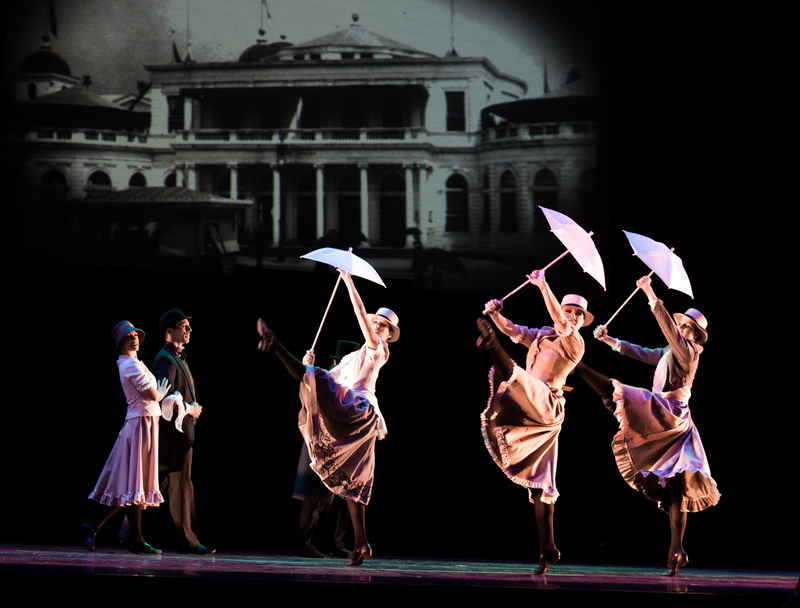 This Friday, March 4th at the Harris Theater, Thodos Dance Chicago brings the world premiere of The White City: Chicago’s Columbian Exposition of 1893, a multi-media, theatrical period piece about the city-changing World’s Fair. 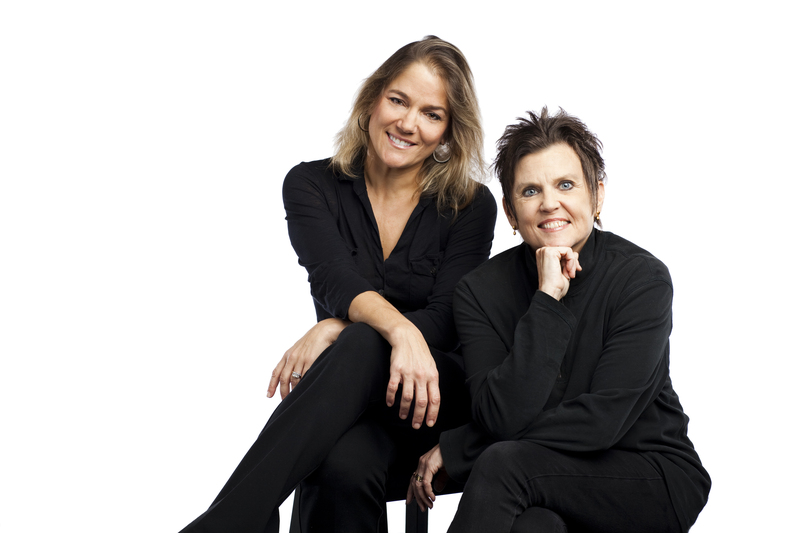 Featuring video projections (by Chris Olsen), architectural sets, live music, period costumes and accurate historical characters, White City is an original dance drama created by TDC Artistic Director Melissa Thodos and Broadway legend and Tony-award winner Ann Reinking. This is the fourth time the friends (who met while their husbands were playing tennis) have worked together. Adding to the artistic collaboration is Reinking’s Broadway colleague and former Joffrey dancer Gary Chyst who is serving as dramatic coach helping the dancers with character development and the choreographers with fleshing out the storyline. This 45-minute slice of history has a little bit of everything — love, architecture, politics, death, ghosts and murder — all set to the music Songs Without Words by composer Bruce Wolosoff and performed live by the Carpe Diem String Quartet. RB sat in on rehearsals a few weeks ago, watching the group work out some blocking issues and do a partial run-through. After a dancer jumped a little too close to the sound system, it went into “protect mode” and without missing a beat, Ms. Reinking quipped, “I wish I had something like that. It would’ve saved me a lot of grief!” Her quick wit and infectious laugh, as well as the obvious friendship and affection with Thodos (and Chyst), were on full display when we sat down to talk after rehearsal. Choreographers and gal pals Thodos and Reinking. RB: How did this project come about? AR: About two plus years ago my girlfriend said, “you’ve got to hear this music”. I listened to it and just was wonderful. I called Melissa and said, “this music is perfect for your company…perfect”. I was thinking lovely little dances to beautiful music. Melissa said, “I have this idea and I’m so excited about it.” She sent me…several books on the Exposition, The Devil in the White City, lots of dvds and videos…really remarkable research. I thought this was a story ballet. I wrote an adaption. You can’t dance about everything in these books. MT: It would be a 24-hour show and the dancers would be dead. AR: So which stories do we want to tell? There was a lot of drama and a lot of joy. Several stories that exuded that…we sort of pooled them together and then used that as the basic thing to spin off of and we’ve been spinning ever since…hopefully in the right direction. RB: What made you want to do a piece about this? AR: She loves Chicago! Anything Chicago! MT: I do. It’s part of our history that is not known enough. People don’t know that this changed the face of Chicago. RB: How was the collaboration? How did you divide the choreography? MT: We’ll never work together again. AR: (Laughing) We don’t like each other any more. Basically, it kind of wound up that I got most of the sinister pieces. It’s true! The only joyful thing I’m doing is the Mayor’s thing. All of the dark stuff was mine. AR: No, it just worked out this way. I’m doom and gloom and she’s light and glory! We did the architect’s dance together and the funeral quartet and the last day together. MT: And the new section. We took separate sections, but what’s nice is Gary and Ann, both, in my sections are giving feedback for opportunities for changes or growth, so it’s all very structured, but also open in communication with three creative minds working together (to) support the entire work. It’s very collaborative in that way and wonderful. MT: The mission of the company is based on the development of the artists. RB: Did you find that they had a hard time doing it? AR: He (Gary) was very good at coaching them. But don’t you think their instincts were good? The second half of the program will feature a mixed rep with four pieces. Another world premiere from Thodos, Getting There, featuring a wheel and some creative acrobatic moves, a world premiere by Ron De Jesus (yes, that Ron De Jesus of Hubbard Street and Broadway fame) titled Shift, as well as two audience favorites from last year’s New Dances 2010, Quieting the Clock by Stephanie Martinez Bennitt and Francisco Avina and a solo from TDC dancer Wade Schaaf, Dancer, Net.